The bedroom was beautiful. The host brought us a freshly baked cake and there was a basket of fruit awaiting us. The surrounding patio and garden were lovely. Great hospitality. We were warmly welcome. Great privacy. Great location if you're coming from Delphi. 100% recommend. The view from the balcony, the cozy and blooming garden, the friendly hosts, the scent of the sea! Very nice apartment with beautiful sea views. Very kind staff. Very friendly and helpful hosts. Delicious chocolate cake for us when we arrived. The kitchen had all we needed and the atmosphere was perfect for a rest after travelling for a month. Space, view, the sea just across the road. We've met four Zen Masters there, all of them were cats. Galaxidi is a nice, cosy little town. Nikos is a fantastic guy. A delicious chocolate cake was waiting for us on the day of our arrival and when the time came to bid farwell to the place Nikos appeared with another ambrozial delicacy. Yummy! Friendly owner and ready to help you with everything. 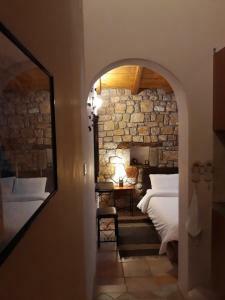 Excellent value for money choice.Only 2km away from Galaksidi. Ideal for couples that want some time alone. Overall just loved it.Will visit it again. We had a very pleasant stay. Nikos is the most warm and helpful host. 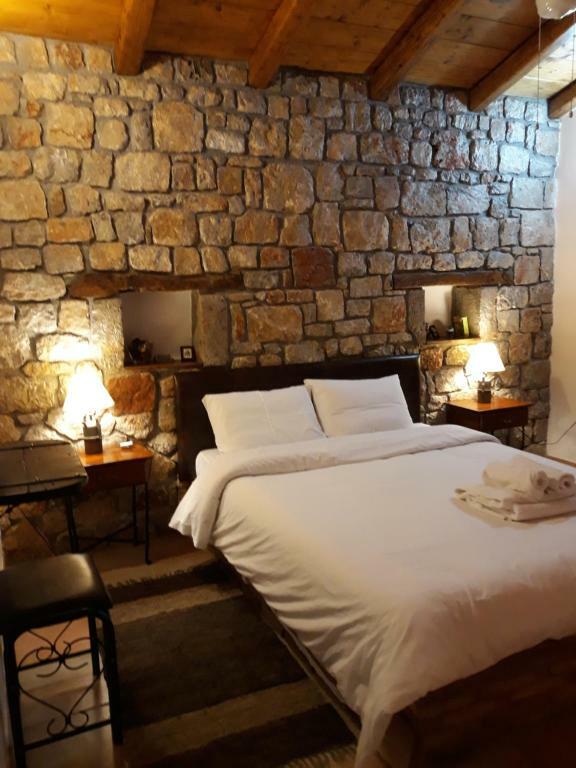 Super clean space, cosy and decorated with care, just 3 minutes drive from Galaxidi. Although it 's above the provincial road, the road is not seen as the lovely shady garden is in a higher level so you just have a view to the sea. In the kitchen we found tea, different kinds of coffee, butter, marmelade, honey, toasted bread and cake for breakfast. We even got a small gift from Nikos as we left for home. We are wholeheartedly recommending it! 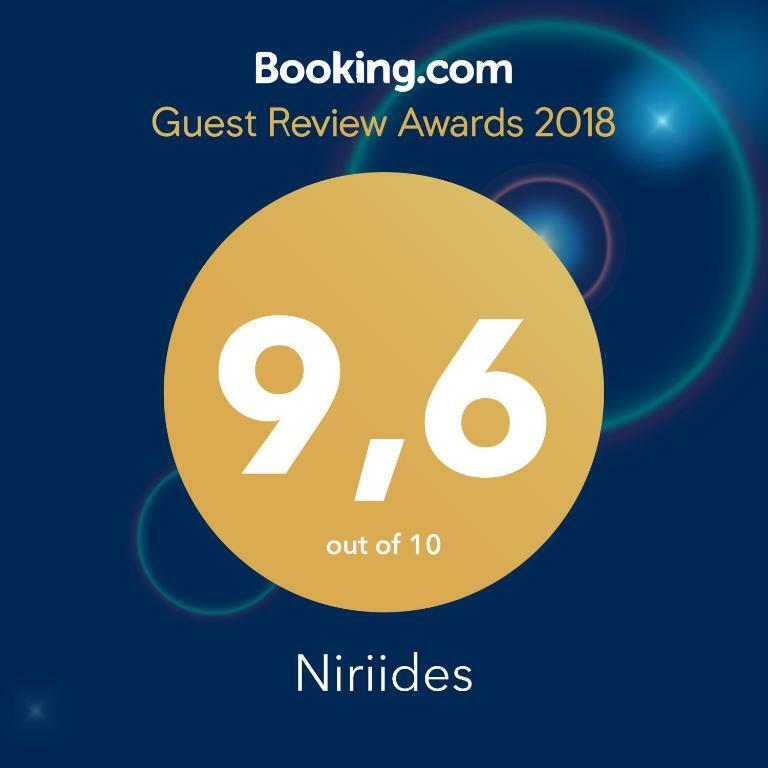 Lock in a great price for Niriides – rated 9.6 by recent guests! 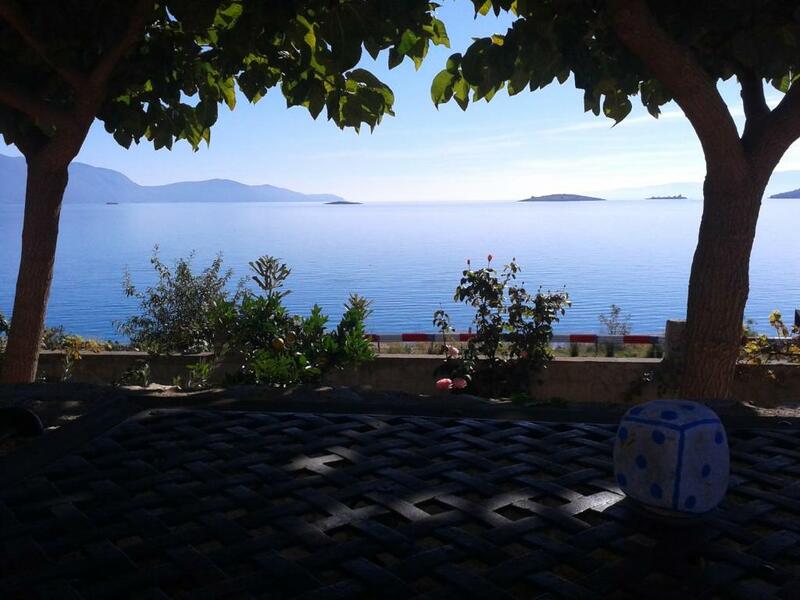 One of our best sellers in Galaxidi! Located in Galaxidi within 50 feet of the sea, Niriides is a traditionally decorated, fully equipped apartment with free WiFi and furnished balcony overlooking the Gulf of Itea. Restaurants, bars and shops are within 1.9 mi. The Niriides apartment provides a TV and air conditioning. There is a kitchenette with a refrigerator and cooking facilities. Featuring a shower, the private bathroom comes with a hairdryer and free toiletries. A welcome basket with coffee, milk, fruit, homemade jam and local honey is offered on arrival. The property is 0.9 mi from Kalafatis Beach. The center of Galaxidi is within 1.9 mi. Free private parking is possible on site. 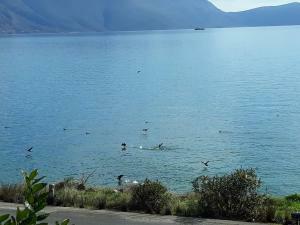 This property is also rated for the best value in Galaxidi! Guests are getting more for their money when compared to other properties in this city. 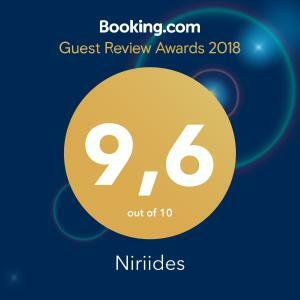 When would you like to stay at Niriides? 164 feet from the beach, this fully equipped apartment offers free WiFi and furnished balcony overlooking the sea. It has a kitchenette. A welcome basket with coffee, milk, fruit, homemade jam and local honey is offered on arrival. Το Νηρηίδες βρίσκεται στο Γαλαξίδι. 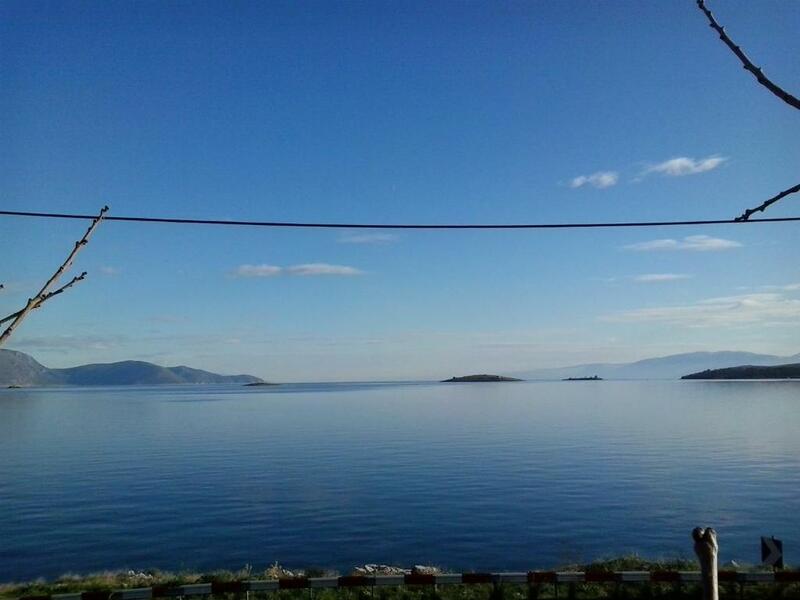 Μόλις 20μ. σας χωρίζουν απο τη θάλασσα. Η θέση του δίπλα στο δρόμο το καθιστά ιδανικό για μικρές ή μεγάλες εξορμήσεις στη γύρω περιοχή. Πρόκειται για ένα αυτόνομο διαμέρισμα με παραδοσιακή διακόσμηση, ένα πανέμορφο κήπο και μεγάλη βεράντα με απεριόριστη θέα στη θάλασσα και το Γαλαξείδι. Το μόνο σίγουρο είναι ότι θα νιώσετε σαν να έχετε το δικό σας σπίτι στην εξοχή! 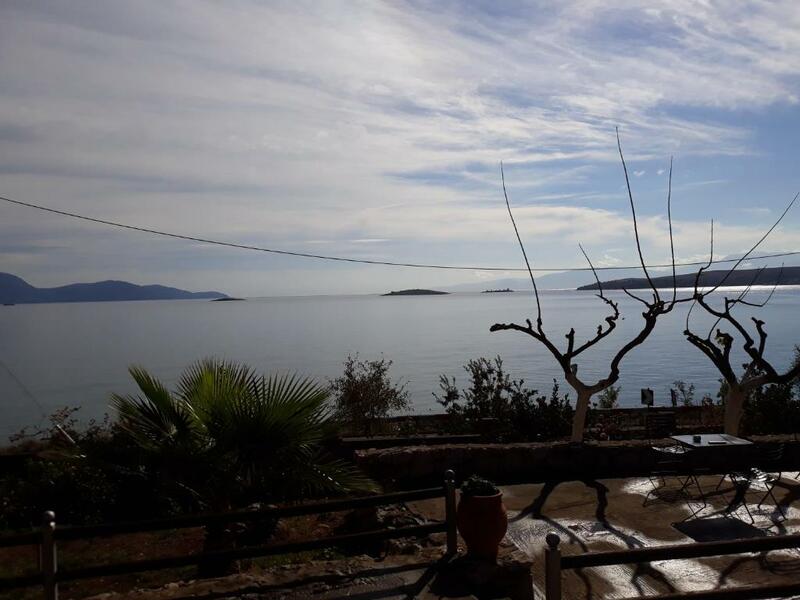 Με μια βουτιά μόλις 20μ μακρυά από τις εγκαταστάσεις μας μπορείτε να βρεθείτε στη θάλασσα. Η κοντινότερη παραλία είναι στα 100μ. 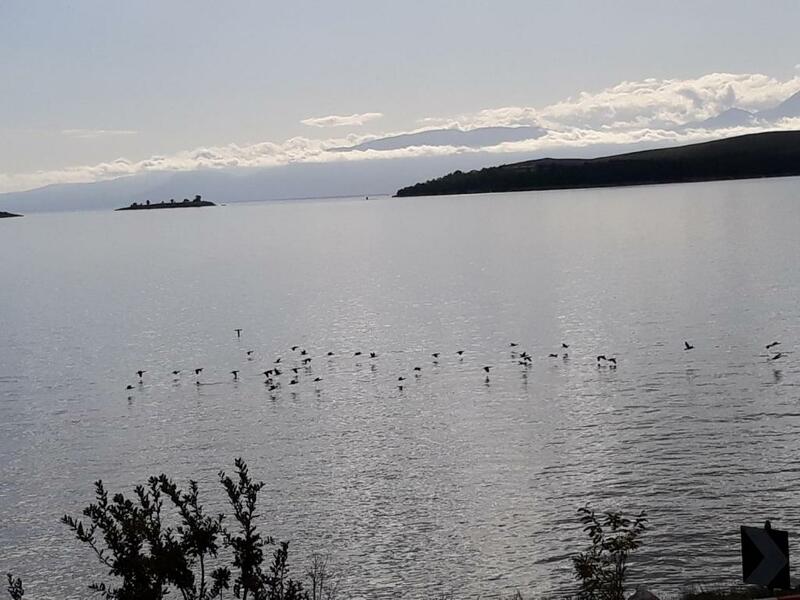 Ακόμη, η περιοχή ενδείκνυται για περίπατο δίπλα στη θάλασσα, επιλέξτε ιδανικά τις απογευματινές ώρες. Το Γαλαξείδι σας περιμένει να περιηγηθείτε στα γραφικά σοκάκια του, θαυμάζοντας τα εξαιρετικής αρχιτεκτονικής καπετανόσπιτα. 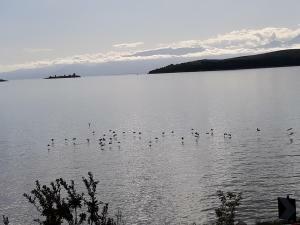 Ενώ, αν θέλετε να ταξιδέψετε πίσω στον χρόνο της ένδοξης ναυτοσύνης του Γαλαξειδίου, το Ναυτικό Μουσείο σας περιμένει να το ανακαλύψετε. House Rules Niriides takes special requests – add in the next step! Please inform Niriides of your expected arrival time in advance. You can use the Special Requests box when booking, or contact the property directly using the contact details in your confirmation. The shower is not comfortable. Teflon pans are scratched. A hairdryer is missing, useful in winter. The bed in the lounge took up all the space. While I had understood the second bed was in the lounge, it wasn't clear from the photos how small the longe was. The apartment is really suitable for a couple and two children, not for two couples. Downside, beach was close to the room but was also next to the road. Comfortable and cozy apartment located on the beach, offering all the comforts for a relaxed and complete holiday. The hosts are wonderful and responsive. About two kilometers away is the beautiful city of Galaxidi, and not far from here is the impressive architectural complex Delphi, which must be visited if you are in this area. Lovely apartment and charming hosts. Check in very easy, and basic supplies all there plus some fabulous chocolate cake! The appartment is a bit small for a four persons family with two grown-ups.